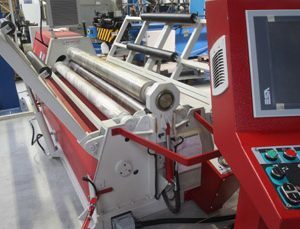 The guarantee of obtaining the highest quality components, using the most modern four-roll coiler. 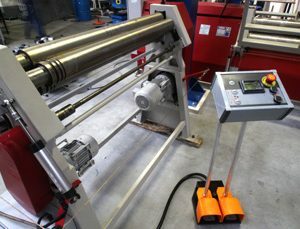 Width of a coiled part up to 3000 mm, roll diameter 210 mm for parts up to 3000 mm, roll diameter 160 mm for parts up to 2100 mm, roll diameter 90 mm for parts up to 1050 mm (minimum rolling diameter depends on the type and thickness of the material). Separation of coiling of stainless steel, aluminium and black steel. 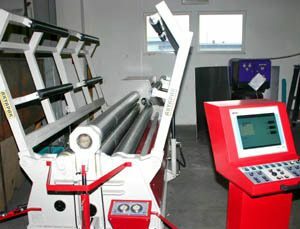 The experience of coiler operators allows us to obtain the most difficult shapes of rolled details.